In April, Minister Damian English suggested that 7,000 social homes were built last year. Subsequent official statements and reports clarified this figure down to 780 local authority builds. Detailed analysis of the quarterly Rebuilding Ireland Construction Status Report 2017 confirms that just 394 local authority homes were built. 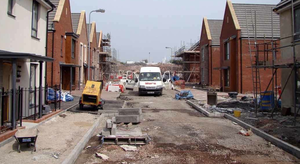 The balance of 386 were ‘turnkey’ new homes purchased from private sector developments. Readers will recall Madeira Oaks in Wexford, a passive scheme featured in issue 15 of Passive House Plus. Eight new homes purchased by Wexford County Council in 2017 are recorded by the Department of Housing as council builds. In eighteen months local authorities built 613 homes, plus a further 415 by approved housing bodies (AHBs). One thousand, two hundred and fifty six ‘turnkey’ private sector homes were purchased in the same period. Official figures conceal very low levels of local authority building. Finance and industry capacity need to be assessed, but land availability is critical. 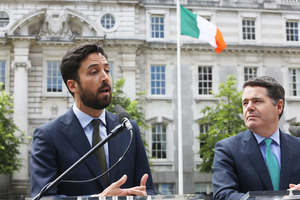 Minister Eoghan Murphy has suggested enhanced land ‘compulsory purchase’ powers for councils and a new agency to manage and buy more land. Are these needed? The state controls or owns more than one quarter of all zoned residential development land nationwide, enough land to accommodate 114,000 dwellings. In Dublin City three out of every four vacant residential zoned sites is either owned by Dublin City Council or by a Nama debtor, enough to accommodate 71,000 dwellings. Details of 700 sites and 1,700 hectares (ha) owned by councils and the Housing Agency were published in the Rebuilding Ireland Land Availability Survey last year. However, this is only a small part of the state-owned land. Based on seven council returns, the extent of land owned by councils is 8,844 hectares (21,854 acres), five times greater. In Fingal and South Dublin, the amount of council-owned land declared in Rebuilding Ireland is 132 hectares. The actual figure, including roads and parkland, is 6,761 hectares. These two councils own 67.6 sq km, a land-bank bigger than San Marino, a small European country. Even if a fraction of this land is suitable for future development, there is capacity to rezone to residential use for decades. The proposed development in Cherrywood in Dun Laoghaire-Rathdown is 360 hectares, half the size of Phoenix Park, and will accommodate eight thousand dwellings, a town centre and 350,000 sqm of commercial space. Fingal and South Dublin own the equivalent of nineteen Cherrywood’s, yet built 83 homes between them last year. South Dublin County Council built none. The National Economic & Social Council (NESC) has confirmed that public land has a central role in the supply of affordable housing and recommended that rather than selling, state land-banks should be actively managed and used to drive the provision of affordable housing. What needs to be done (and when)? Last year 17,900 households experienced rental distress and signed up for the Housing Assistance Payment (HAP). This is to increase in 2018 and up to €950m on various supported rental programmes will be spent this year. At current rates of increase more than €5bn will be spent on state rent assistance by 2021. Two years ago, an all-party Oireachtas Committee on Housing and Homelessness recommended an annual target of 10,000 social homes for the next ten years. An additional 5,000 affordable homes are needed per annum. These are not, and will not, be provided by the public sector. At least 35% of a typical sales price in County Dublin is land value and developer’s profit. Private sector building is sluggish, concentrated mainly in Dublin and aimed at the top 20% of earners. So-called state LIHAF (local infrastructure housing activation fund) funding is aimed at large developments, providing infrastructure funding for privately-owned land banks in the expectation that a future sales discount will be applied. No legal agreements or projected sales prices have been published by developers in receipt of funding to date. Remaining LIHAF funding should be exclusively aimed at unlocking public land and its development potential. Does it matter that homes are purchased rather than built by the state? 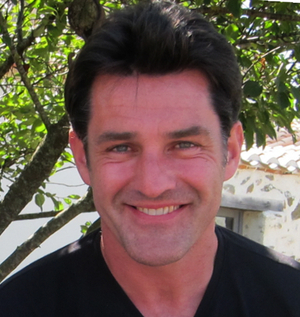 Some officials consider that there is no difference – a home is a home. But it is much cheaper and quicker to build a local authority home; the state is in total control of the process, from planning to completion. 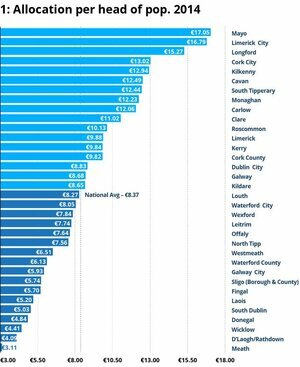 The average ‘all-in’ cost of a two-bedroom local authority home is less than €200,000. According to the CSO, average new Dublin house prices range from €389,343 (South Dublin) to €649,295 (Dun Laoghaire-Rathdown). 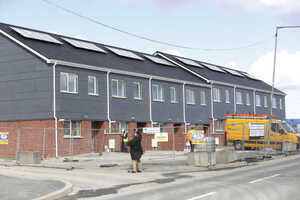 Co-ops, in partnership with councils, can build affordable homes for sale for similar prices. 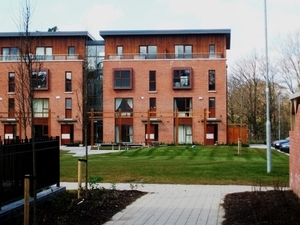 Only one such scheme of just 37 co-op homes is planned in partnership with Dublin City Council. At least two local authority social and affordable homes can be built for the price of one purchased from the private sector in Dublin. Posted in Misc and tagged Housing, Local authority housing, Mel Reynolds at 5:10 pm on October 19, 2018 by Bodger. “In Fingal and South Dublin, the amount of council-owned land declared in Rebuilding Ireland is 132 hectares. The actual figure, including roads and parkland, is 6,761 hectares. These statements are nonsense and need to be called out as such. How much of these lands are zoned, parks, near a public transport system? How many are actually develop-able? If it is so easy to build everywhere then why do we not build. Why not develop Dublin city into high rise? Because the lefties and well heeled voted against it. Look at the destruction of villages all around the city, all 3 bed semis – can we not have a debate on this, as opposed to shite about the state needs to build housing. The state has an awful record of house building … Crumiln, Ballymun, need I go on. How much of this fingal land is around the airport and is not habitual? San Marino is essentially small town that has an unusual status. Population is approx 33,344. To call it a small country is disingenuous even if it is technically correct. FIFA reagrd it as a small country. If it’s “nonsense” as you say, explain why it’s nonsense and back it up with links, will you? Ye, Bertie also gave him a dig out. There is a lot of guff in this article. The biggest “apples versus oranges” is the whole “two for one” where he compares the price if building a “two bedroom house” to an average house in Dublin – which is going to be bigger than 2 bedrooms.